Born in Georgia, James Bledsoe Bailey came of age in Montgomery County, Alabama. 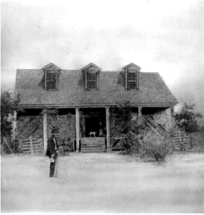 In the early 1840’s Bailey served in the Army during the Second Seminole war. After his service he retuned to Montgomery, but crop failures led him to seek out a new life in Florida. 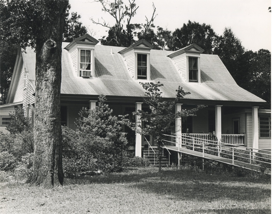 In the early 1850’s Bailey, his wife, children and 34 slaves moved to Alachua County. Bailey quickly became involved in local politics. During a contentious vote at Boulware Springs that would decide the Alachua County seat, it was Bailey who brokered the deal that broke the impasse. The result was the City of Gainesville, a new and current county seat. His young daughter Martha was the second burial at Evergreen. Bailey himself died in 1864 from encephalitis. His home on 6th Street is the oldest house in Gainesville.